Activated alumina 2 - 5 mm is highly porous material; this material can have a surface area significantly over 200 square metres/g. Very suitable for use as a filter of fluoride, arsenic and selenium in drinking water. Activated Alumina Manufacturers, Suppliers & Dealers in Mumbai, Kandla, Chennai, Kolkata, Visakhapatnam, Fujairah, Dubai, Sharjah. 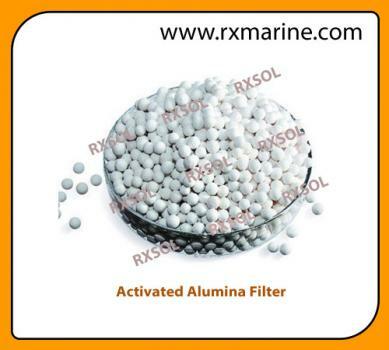 Activated Alumina is an aluminium oxide that is highly porous and exhibits tremendous surface area. Activated Alumina is resistant to thermal stock and abrasion and will not shrink, swell, soften nor disintegrate when immersed in water. Surface area is in the range 345-415. Because it has a higher capacity for water than Silica Gel at elevated temperatures it is mainly used as a desiccant for warm gases including air. In many commercial applications zeolitic materials have now replaced it.